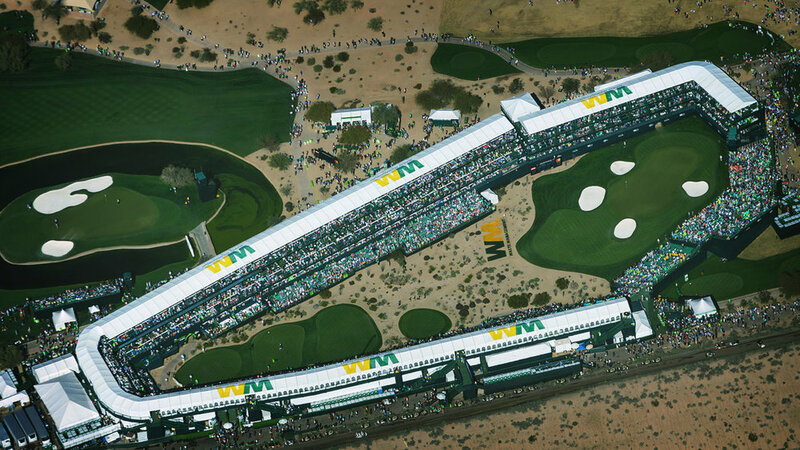 The Waste Management Phoenix Open is the most attended golf tournament in the world. Hosting over 700,000 fans over a 7 day span with 200,000+ fans on Saturday alone. Each year’s branding has to be redesigned to showcase the event, designate each of the tournaments 55 different hospitality areas, 183 corporate partners, and avoid counterfeiting. Since the tournament is only 7 days long, we have to launch the full arsenal of photographers, videographers, and designers to capture and show off the event to the outside world for the next year’s tournament. The design scheme for the 2018 tickets used bold color treatments to stand out and show off the excitement of the week’s event. With the strong colors, each ticket had to be able to unique so it can be differentiated from each hospitality location. With the hundreds of unique tickets requires huge attention to detail at each step. New for 2018, we are implementing RFID wristband access control at Skybox 16 venue and the Coors Light Birds Nest Concert Series. Using two different companies, this transition required many hours of research and training to implement. The art direction for the print tickets was to emphasize the vibrant, energetic, and youthful feel of our tournament. The animated "Player Commit" social media videos use the same color treatments to stand out in social media feeds, raise excitement and lend a cohesive quality between our online media and the physical tickets that customers will have in hand. An important item on our 2018 agenda was to create a custom logo for our signature hole: 16. Working together with the Phoenix Open creative staff, this project came together smoothly and has been well received. The logo has allowed us to explore merchandise opportunities leading to further revenue streams for our tournament. A key aspect that our Tournament Chairman wanted present in the logo was the enclosed structure around 16 and the modern feel of our tournament. The eighteenth hole is growing to be bigger and better. With larger hospitality on the signature finishing hole of TPC Scottsdale. The key hazard of the islands on the left side of the fairway was selected to be the icon of the logo. We hired a drone photographer to fly up and around the bunker to get us unique vantage points that proved to showcase a recognizable view that we could illustrate and bring to life. 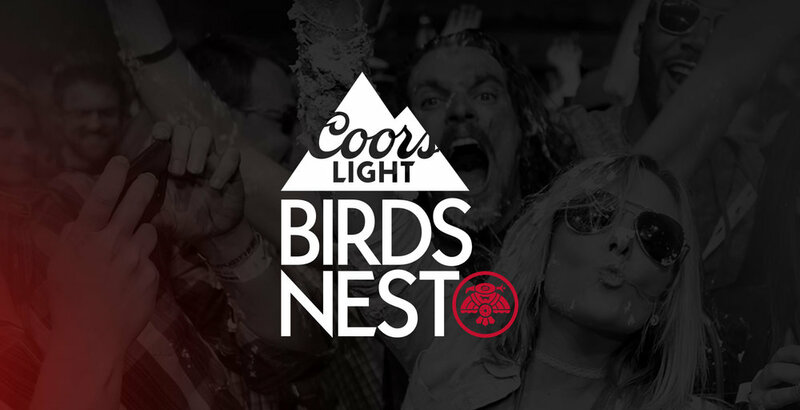 Huge concerts take place Wednesday through Saturday nights during the tournament at the Coors Light Birds Nest concert series. The logo needed a reboot so we worked to create a new hot look that would update the logo for use across web, mobile, print and merchandise placement.